UCC Triennial Congress in Toronto November 8 – 10, 2013 – REGISTER NOW! MY PEN FOR EU – МОЯ РУЧКА ЗА ЄС! TORONTO – September 9, 2013. With the XXIV Triennial Congress of Ukrainian Canadians just 2 months away, organizers are working on final details for this important weekend of discussion and decision making. Registrations have been growing steadily and Ukrainian Canadians are encouraged to take part. The deadline for Early Bird Registration is September 30, 2013. “With the Congress just two months away, we want to remind everyone to submit their registrations to ensure that we can accommodate you at all the activities of Congress XXIV,” stated Olya Grod, Congress Chair. Online registration is still open for the November 8-10, 2013, Congress taking place in Toronto, Ontario. 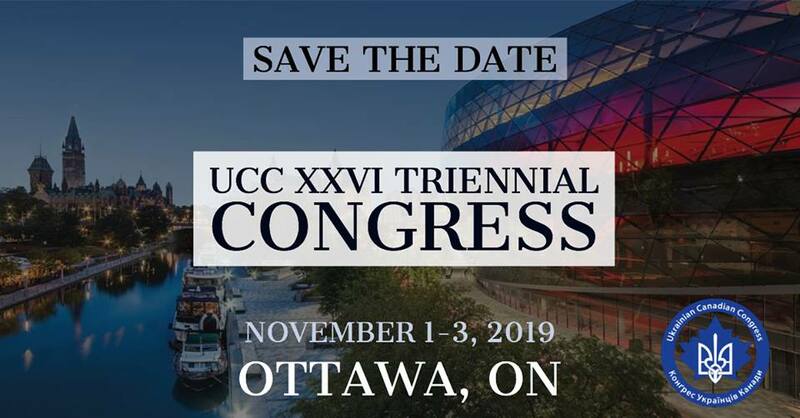 If you are planning to attend, organizers wish to remind you that registration is available online by going to Congress XXIV at:http://congress.ucc.ca/registration/ . It is important to secure your attendance by registering quickly. In addition, special hotel rates are available at the Marriott Airport Hotel in Toronto until October 8, 2013. After those dates room availability and rates will change significantly during the busy conference season in Toronto. Toronto looks forward to welcoming everyone to Congress XXIV as we remain ‘Committed to the Future, and Inspired by our Past’. On 22 August 2013, delegates to the X Ukrainian World Congress re-elected Eugene Czolij for a second five-year term as President of the Ukrainian World Congress. 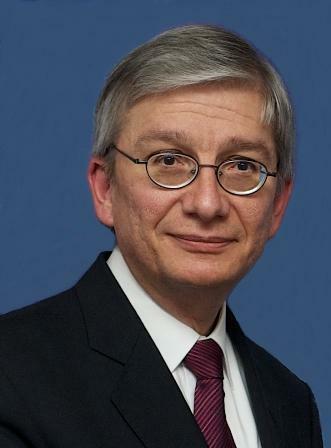 Eugene Czolij, an attorney by profession, was called to the Quebec (Canada) Bar in 1982 and is a senior partner at Lavery, de Billy, one of the largest law firms in Quebec, with more than 170 lawyers. His legal practice includes corporate and commercial litigation, shareholder oppression remedies, the insolvency of significant corporations, banking litigation and class action suits. He pleads before the Supreme Court of Canada, as well as all court levels in Quebec. Eugene Czolij was first elected President of the Ukrainian World Congress in 2008. Throughout his first term of office he has dedicated himself to promoting Ukraine’s Euro-integration and the human and national rights of all Ukrainians, regardless of their country of residence. 22 серпня 2013 р. делегати X Світового Конґресу Українців переобрали Евгена Чолія на другий п’ятирічний термін Президентом Світового Конґресу Українців. Евген Чолій є членом Палати адвокатів Квебеку з 1982 р. та старшим партнером однієї з найбільших адвокатських фірм Квебеку – Лавері, де Біллі, яка нараховує понад 170 адвокатів. Його юридична практика включає корпоративні та комерційні судові справи, позови акціонерів, справи банкрутства великих корпорацій, банкові судові справи та колективні позови. Як професійний юрист виступає перед Верховним Судом Канади та перед судами Квебеку різних рівнів. Евгена Чолія спочатку було обрано Президентом Світового Конґресу Українців у 2008 р. Під час своєї першої каденції він присвятив багато часу, щоб просувати євроінтеграцію України, а також людські та національні права українців незалежно від країни їх проживання. SEPTEMBER 4, 2013 – OTTAWA. 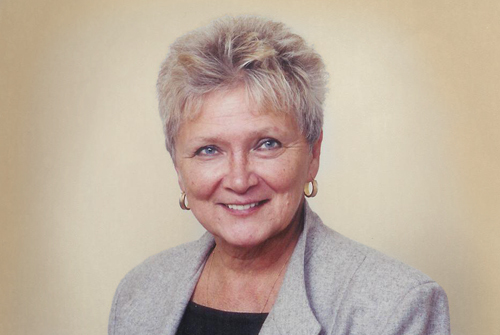 The Ukrainian Canadian Congress is pleased to congratulate prominent Ukrainian-Canadian Ms. Olya Sheweli on her election as President of the World Council of Ukrainian Co-operatives, at their meeting on August 20, 2013 in L’viv, Ukriane. The membership of the World Council of Ukrainian Cooperatives are the member-credit unions of the National Association of Credit Unions in Ukraine, Council of Ukrainian Credit Unions in Australia, Ukrainian National Credit Union Association (U.S.A.) and the Council of Ukrainian Credit Unions in Canada. Ms. Sheweli is curently the President of the Council of Ukrainian Credit Unions of Canada, President of the Ukrainian Women’s Organization of Canada and President of Ukrainian Canadian Congress – Hamilton Branch. A Prayer of Remembrance to Commemorate Black Ribbon Day was said in St. Andrew Bobola Church in Winnipeg, MB on August 23, 2013. Black Ribbon Day commemorated the annual Canadian National Day of Remembrance for the Victims of European Communism and Nazism. On this day, places of worship in the Canadian Eastern and Central European communities open their doors for special services. The solemn occasion pays homage to the victims and expresses solidarity with the survivors and their descendants. A Prayer of Remembrance was said in at St. Andrew Bobola Church in Winnipeg, MB. На саміті Східного партнерства, який відбудеться у Вільнюсі 28-29 листопада цього року, вирішуватиметься доленосне питання подальшого цивілізаційного розвитку України – чи буде підписана Угода про асоціацію з Європейським Союзом? Ми – вільні громадяни, які прагнуть бути в європейській сім’ї, сподіваємось, що українська влада зробить цей крок. 28 серпня у Києві було оголошено старт всеукраїнської ініціативи «Підпису – ЄС!», яка спрямована на підтримку підписання Угоди про асоціацію України з Європейським Союзом. В цей день на Майдані Незалежності в Києві, а також в інших містах України волонтери розпочали збирати ручки звичайних громадян, що означає символічне уповноваження президента Віктора Януковича підписати Угоду про асоціацію. В обмін на ручку активісти дають наліпку – зірочку з надписом: «Я уповноважую президента підписати Угоду про асоціацію між Україною та ЄС». – «Зацементувати» вибір громадян на користь ЄС. Також у рамках кампанії на сайті акції www.pidpys.eu збирають відеозвернення людей, в яких поясняються, чому «їхня ручка за ЄС». Своє ставлення до євроінтеграції висловлюють усі охочі громадяни, а також громадські активісти, журналісти, митці, зірки шоу-бізнесу і спорту. Залиши і ти своє відеозвернення на сайті і поясни, чому для тебе важливе зближення України з сім’єю європейських народів. Запиши на мобільний телефон або на веб-камеру комп’ютера 3-4 речення, в яких, поясни, чому для тебе важливе наближення України до Європейського Союзу. Наприкінці запису покажи свою ручку і скажи слоган акції: «Моя ручка за ЄС!». Надішли цей файл або посилання на публікацію відеозвернення у YouTube на адресу: pidpyseu@gmail.com. Обов’язково вкажи в листі як тебе звати і з якого ти міста. За новинами акції «Підпису – ЄС!» ти можеш стежити на її сторінці у Facebook. The official opening of the Parks Canada National Internment exhibit, ENEMY ALIENS, PRISONERS OF WAR: CANADA’S FIRST WORLD WAR INTERNMENT OPERATIONS 1914 TO 1920 is to take place on Friday, September 13, 2013 at 2:00pm in the Banff National Park, Cave and Basin National Historic Site in Banff, Alberta. North America’s Largest Ukrainian Street Festival is celebrating 17 years in the Bloor West Village during the second week of September. 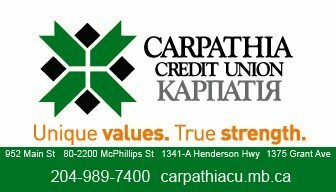 The Ukrainian Canadian Congress (UCC) National would like to invite all Board members, committee chairs and volunteers who will be in the Greater Toronto area to join us in walking the Toronto Ukrainian parade on Saturday September 14, 2013. Participants are asked to assemble in High Park at 10:30am on Saturday as the parade will begin promptly at 11:00 am. All are invited to stay for the Opening Ceremonies that will take place at the main stage at 12:20 pm. September 15, 2013 marks Winnipeg’s Annual Ukrainian Day in the Park with a diverse cultural program featuring Ukrainian talent from Manitoba. Taking place at Kildonan Park in Winnipeg, the festival will begin at 2:00 pm and go until 10:00 pm. Attracting an upward of 3,000 + people and the day will showcase Ukrainian culture, specifically dance, music, costume and food and has free admission. The Queen Elizabeth II Diamond Jubilee Medal will be presented to seven recipients during a presentation ceremony at the Ukrainian Hall located at 145 Evans Avenue, in Toronto on September 26, 2013, during a presentation ceremony. The awards ceremony and community recognition evening will feature UCC National President Paul Grod and UCC Toronto President Oksana Rewa beginning at 7:30p.m. The evening will conclude with the presentation of the Queen Elizabeth II Diamond Jubilee Medals to the following individuals: Bozhena Iwanusiw, Valentina Kuryliw, Irka Mycak, Olya Sheweli, Mary Szkambara, Hania Szyptur, and Oksana Zakyldalsky.